Phenolics, more correctly known as “industrial laminates“, are one of the most misunderstood industrial plastics available. There is so much confusion among the general public that many in the DIY community don’t even know what to ask for. This isn’t a good thing, as these plastics are on the more expensive side and a failure to figure out what’s best for your application could lead to failure or wasted money. The first thing you need to figure out is what your application requires and why a phenolic is necessary. 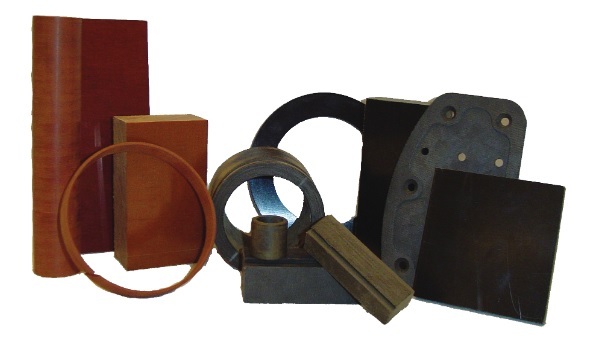 Phenolic plastics are used in two primarily applications: where a super “hard” and mechanically strong plastic is needed and also in electrical applications, such as circuit boards. For applications where mechanical strength is key, then CE grade laminate is the most available and least expensive option. If the application is electrical and/or fire-retardant properties are important then a fiberglass epoxy product called FR-4 is likely the best. An important note here is that the FR-4 product, which is very popular and widely used, isn’t a phenolic at all! Phenolic is an old plastic resin, one of the first ever used, and it became associated with industrial laminates which are essentially compressed layers of fabric, cloth, paper with a plastic resin binder. Typically the brown colored mechanical grade products like the CE grade laminates are the true phenolic. However, many industrial laminates exist which use different binding agents. One other area people get tripped up with is the branch of “melamine” laminates. Melamine laminates are commonly used as kitchen cupboards; however, this is different from the engineering grade melamine laminates available from industrial distributors such as Redwood Plastics and Rubber. Watch out for that, as the products are not interchangeable. At the end of the day, do not feel anxious or embarrassed to simply ask a plastics expert for help. They will work with you to understand the priorities of your application and deliver the best solution. That’s their job!